Thinking of buying a racing drone? You’ve landed on the right page. We’ve shared some important factors you need to keep in mind when shopping for yours. If you’ve just started with racing drones, picking the right one can be perplexing, especially with the plethora of available options to choose from out there. Note that even if there are many types, brands, and models of drones, not all will provide you with the level of satisfaction you desire. There are many things to consider before you can decide to buy a racing drone. With our guide, you will be able to understand how the factors that you need to know so that you can get the best and right drone for your flying needs. Note that you can read various racing drones review online to get more information about them. First things first: You need to identify the type of racing drone you need. If you are active on social media, you must have seen how the drone photography hobby is booming and if this is what you consider, then you need to choose a photography drone. The good thing with a photography drone is that it is designed with an onboard camera and if it is the camera is not fitted, you are provided with an option to fix a small action camera onto the body of the drone. When it comes to a racing drone, speed is everything. Speed should be your utmost consideration of all the things when choosing a racing drone. Ideally, you will want to use it to fly fast and win. For this reason, you will need to consider the speed at which the drone can fly. Most racing drones from factories are designed with speeds of up to 150km/h; however, there are custom made drones that can go faster than this. 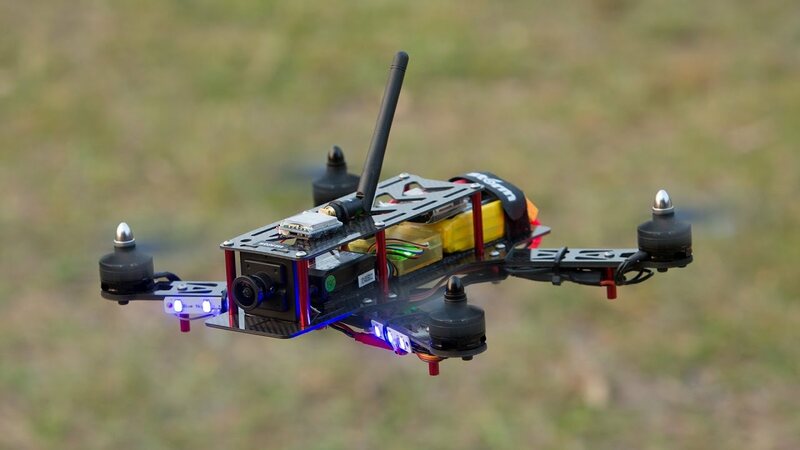 Note that while drone racing the speed can be affected by several factors such as the battery, propellers, weight and more. The batteries add the weight of the drone and can affect the speed also. The type of motor for your racing drone is also dependent on the batteries. Therefore, for drone racing choose the one with quality batteries so that your drone can fly far and faster. Also, quality batteries are those with higher power retention and higher charging capacity. Low-priced drones come with sophisticated features that can complicate the way you operate a racing drone. This means that cheap drones are not suitable for beginner drone flyers. If you are not sure about your ability to fly a racing drone, you need to choose one that is designed with a headless mode and auto take off specs. In addition, you need to choose one with landing capabilities so that you can make it land safely on the ground. Of all the things you consider when buying a racing drone, budget concludes it all. How much are you willing to spend on your drone? While asking yourself this question, you also need to keep away from very cheap drones especially those made with low-quality materials. This will save you from incurring the cost of repair because these drones are prone to crash anytime. If you are just beginning to fly a racing drone, you are will probably make one or two mistakes when choosing one. But with our guide, you can rest assured to pick the right drone for your needs.